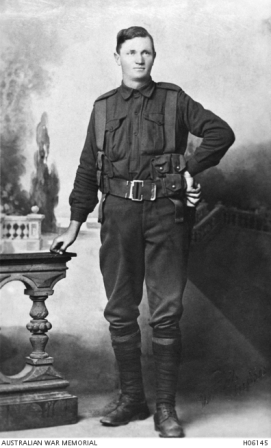 Studio portrait of 2606 Private (Pte) Charles Samuel Hall, 8th Reinforcements, 14th Battalion. 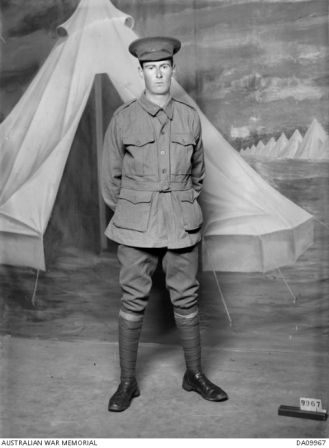 A market gardener of Vermont, Victoria, prior to enlistment he embarked from Melbourne aboard SS Makarini on 15 September 1915 for Egypt and Gallipoli. 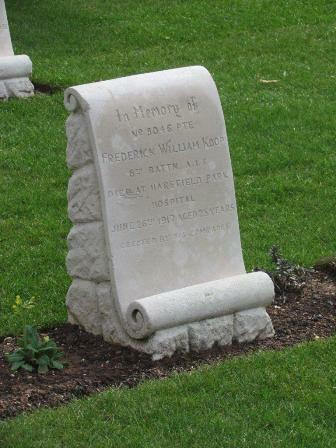 His unit was withdrawn to Egypt in January 1916 before relocating to the Western Front, France, in June 1916. 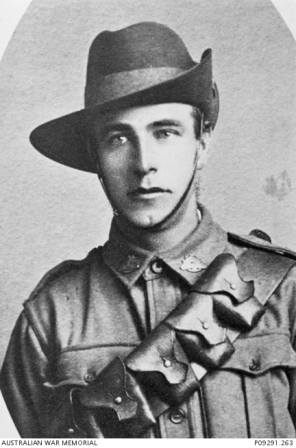 Pte Hall was appointed a Lance Corporal in September 1916 and was later transferred to the 1st ANZAC Corps School as a Temporary Sergeant. 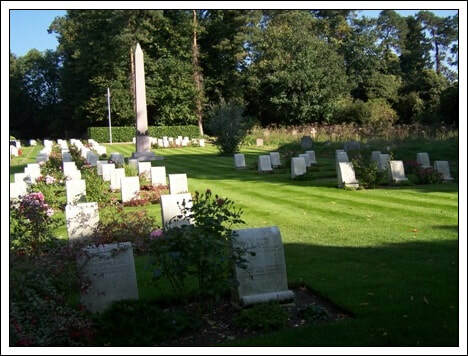 Sgt Hall was hospitalised with TB in May 1917 and was evacuated to England where he died of this illness on 22 June 1917. 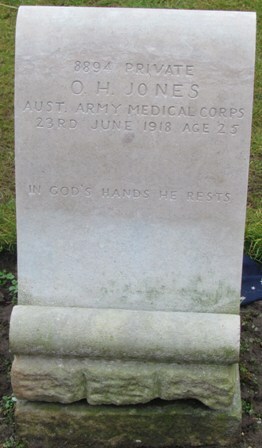 He was aged 24 years. 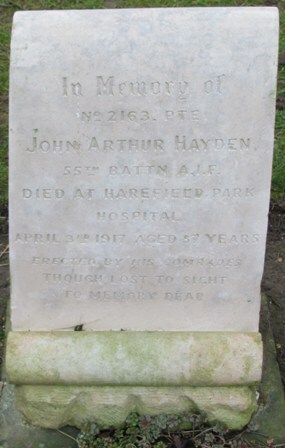 Son of John and Alice M. Hartley,South Melbourne, Victoria. 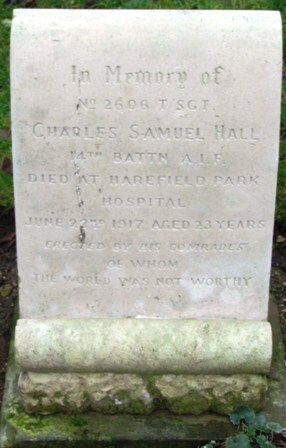 Son of James & Elizabeth Haydell, of Delegate, New South Wales. 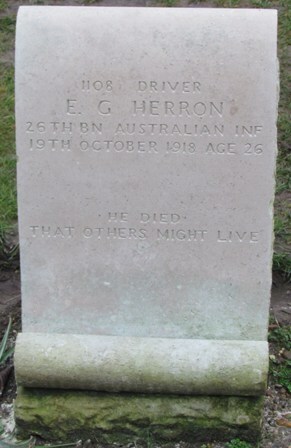 Son of George and Mary Herron. 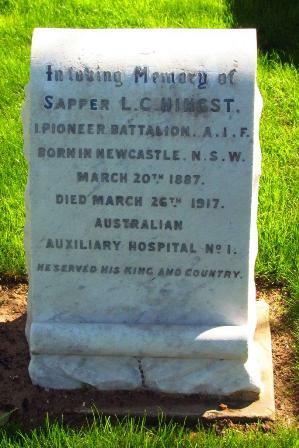 Husband of Mary E. Hingst, Mayfield, Newcastle, N.S.W. 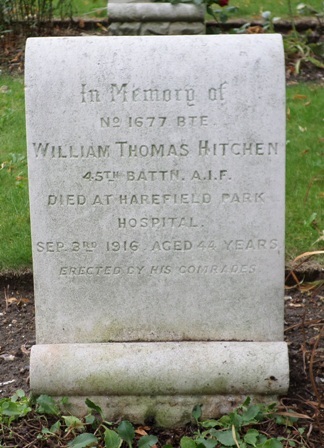 Husband of E. J. Hitchen, Gilgandra, New South Wales. 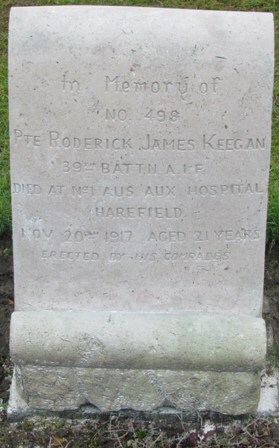 Born at Mudgee, New South Wales. 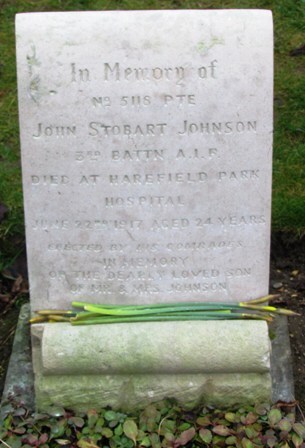 Son of John & Elizabeth Jane Hobbs, Benalla, Victoria. 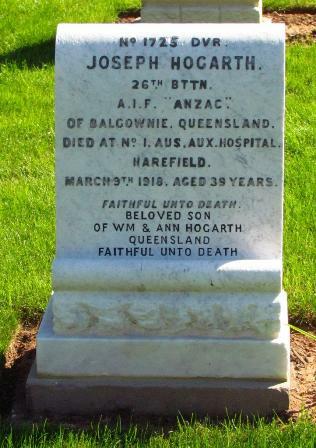 Son of William & Ann C. Hogarth, Cambooya, Queensland. Born at Wellington Vale, Deepwater, New South Wales. 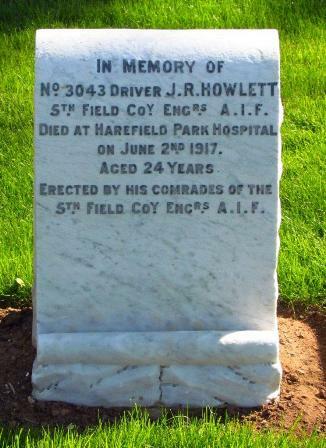 Son of Mr. J. Howlett, Carisbrook, Victoria. 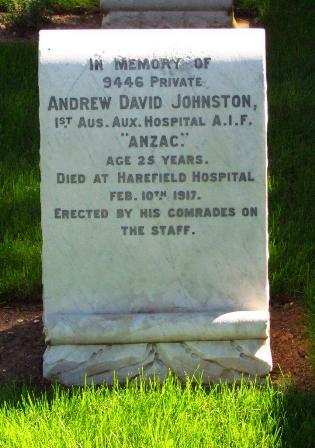 Son of Joseph and Sarah Ann Ivett, Alberton, South Australia. Son of Thomas W. & Margaret E. Johnson, Gosford, N.S.W. Son of Mr. T. Johnston, Timura, Beverley, Western Australia. 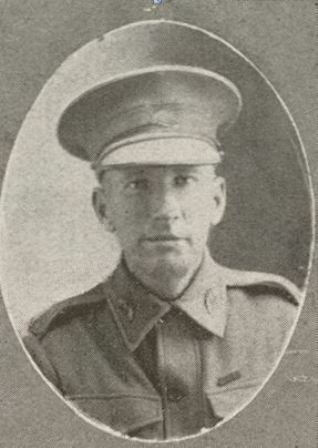 Son of George E. R. & Elizabeth Ann Jones, of Oxley, Queensland. 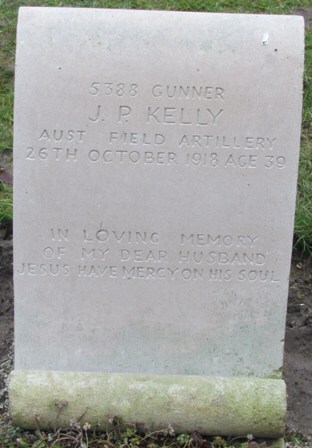 Husband of Mary Jane Kelly, Carlton, Victoria. 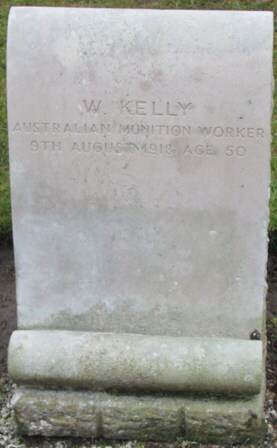 Husband of Ada Ellen Kelly, Croydon, England. 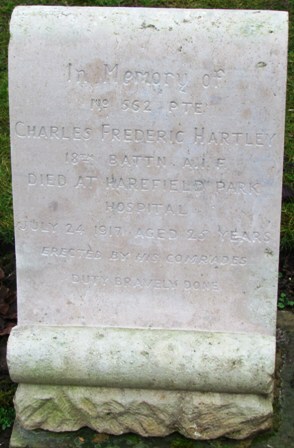 Son of Charles G.H. 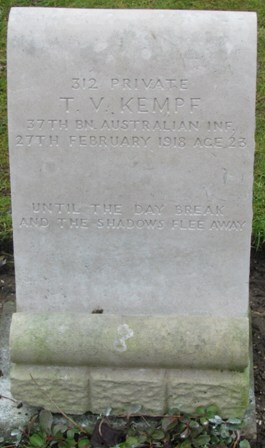 & Elizabeth A. Kempf, Upper Hawthorn, Victoria. 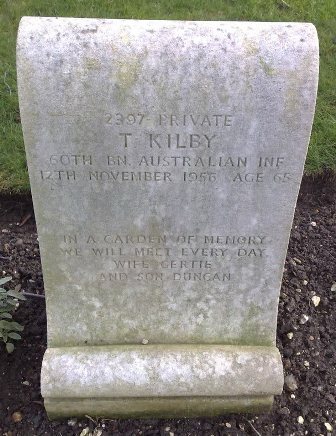 Son of Mary Kilby, Clifton Hills, N.S.W. 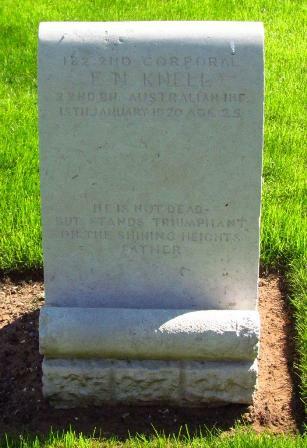 Son of Alfred William Knell, Caulfield East, Victoria. 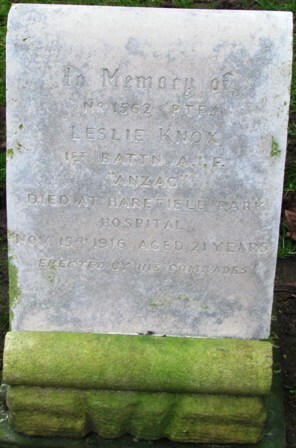 Son of Jaxon Grahme Knox & Annie Knox, of Ashfield, Sydney. 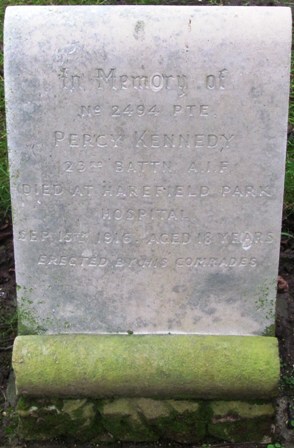 Son of Frederick Paul & Mary Koop, of Lower Norton, Victoria.